On a large sheet pan, toss the veggies and onion with olive oil, maple syrup, and spices. Roast the veggies for 25-30 minutes or until soft. 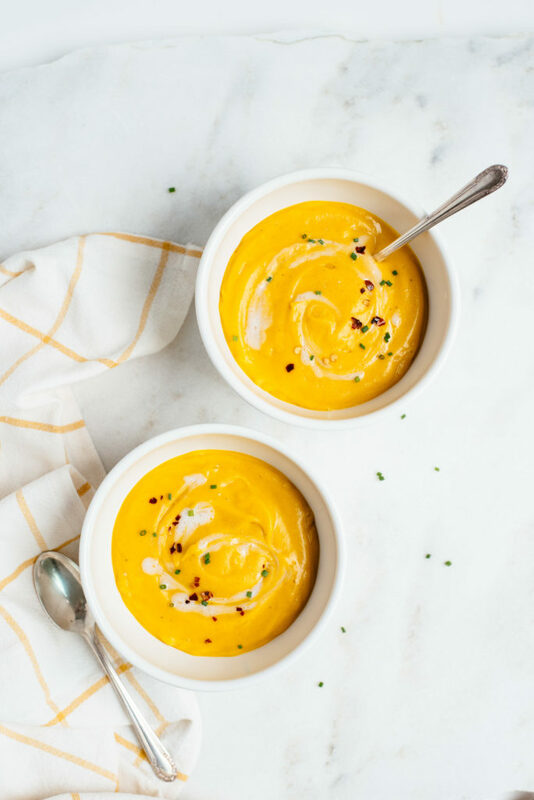 In a blender, combine roasted veggies with 1 quart of hot chicken or vegetable stock and 1/2 cup of coconut milk. Carefully blend the hot mixture until smooth and garnish with chopped fresh chives to serve.